It's been a while since I've tried to bake something new...and it's been even longer since I've done my recipe blog. Lately I've been fascinated by crepes. They seem to be everywhere (in reality, I just know of one family who has opened a creperie.) Either way, I decided to make my own crepes. I found a pretty easy recipe online. I thought crepe-making was going to be really difficult, but if you aren't set on perfection or high-quality crepes, it really isn't too hard. First you'll want to whisk all of that in a largeish bowl until it's not very lumpy. Thank you, Caleb, for drowning that skillet. Cook the crepes over medium heat for about 1 minute on each side or until light brown, then flip. Treat them like pancakes, especially since this recipe makes them pancake consistency. Most likely you'll want to add something else to make the crepes taste better. My choice was strawberries and bananas! Fill them with what you want! Add powdered sugar, of course. And there you have it. Pretty tasty! Like every other year, I headed out to Audubon Camp for two weeks this summer. I always know it will be the highlight of my summers, but after this past year, Audubon Camp couldn't get here fast enough. 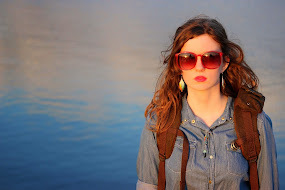 I'm about to lay out a really photo-heavy blog for you. Lots of names, lots of pictures, lots of stories. Be prepared to invest yourself in reading today's post. Here's where I got to reunite with so many friends of mine. I arrived at camp to find Emile, a former camper with whom I used to be very good friends, working there. Fortunately, we had facebook stalked each other enough to pick up where we left off. Another former camper, Erin, was there, and I'm not sure why we hadn't been friends before, but we best friended it up. Seriously, we are long lost sisters. 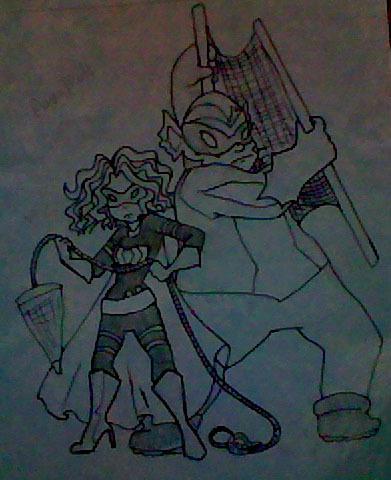 My co-teacher for Aquatic Biology is Matt, also known as AquaMatt, to whom I am PlankTam, and we are a small portion of a large group of Eco-Avengers. We've known each other for (I think) five years now, during which we have become really sassy friends. 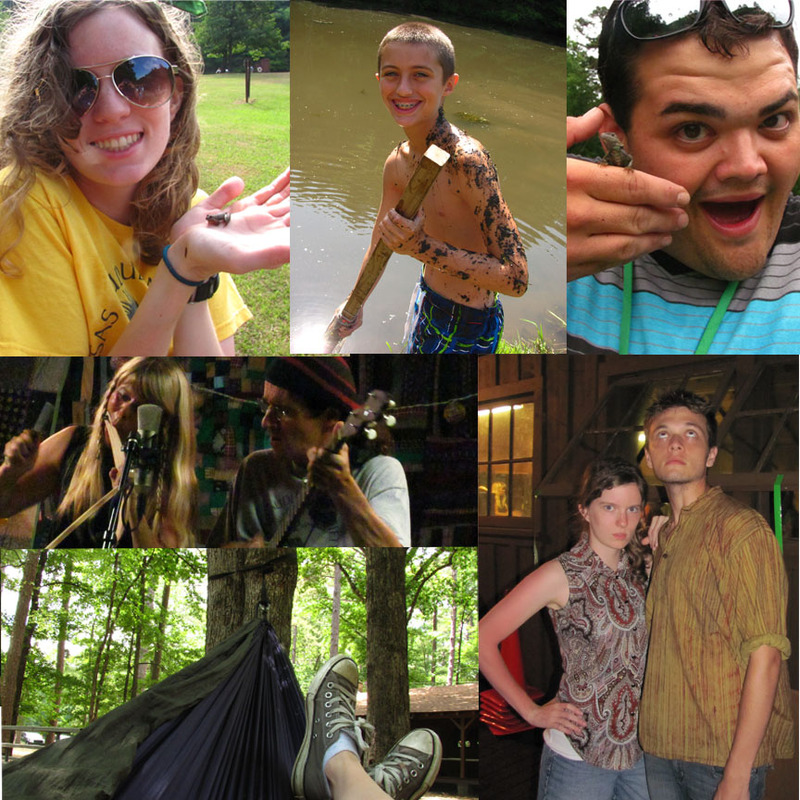 Little froggy, seining camper, AquaMatt and lizard, Still on the Hill, hammock sitting, and Andy. Andy and I have also been buddies for a while, typically running in to each other at thrift stores, if you couldn't tell by our taste for vintage style clothing. And Still on the Hill is a duo that is based in the Ozarks but is internationally known. They even have their own Pandora station now, so go check them out! I don't have an insane number of stories from first week. They were generally good kids. Emile, Erin, I, and a senior camper named Penelope even made a list of plans for the rest of our summer, including making dresses, tyedyeing shirts, and visiting Still on the Hill's Ball Museum! This is our family photo. At one point this week, a senior camper noticed me getting on to some kids, (maybe I yelled a little) and said to Mitchell, "She seems to get mad a lot, was she mean to you when y'all were kids?" To which he responded, "Yeah, she'd get mad because I'd beat her at everything." Thank you, Mitchell. Alligator, little kid helping sein, happy fake family, Pablo and Pike, Halo and helgrammite, me painted with shale, and Chloe with water sample. AquaMatt and I were in charge of the water game, as you can see by the bottom left picture. I always enjoy watching kids fall into the water as they try to race each other. 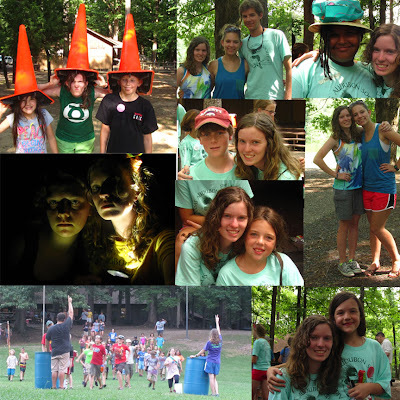 And most of these pictures are from the last day of camp, also the saddest day of camp. If you would, notice the dark picture of me and my cabin-mate, Lori, as we prepare for the bear prank that night. Since the kids thought Mitchell and I were siblings, I told them Mitchell had gone up the hill to call our ma one night. When bear calls started coming from that direction, my ladies freaked out, and from then on, every flashlight they saw brought on cries of, "MITCHELL?!?! ARE YOU OKAY?!" 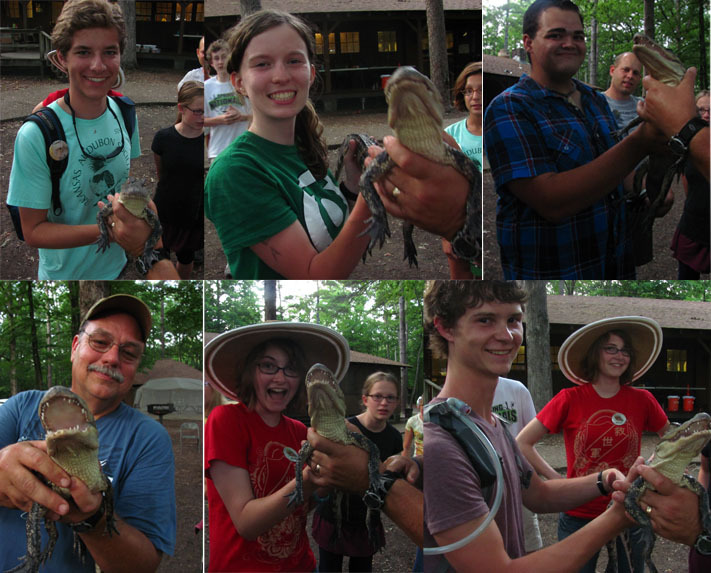 We got to hold a gator this week! That's pretty cool, right? AquaMatt and I had a pretty good track record this year of no canoe flips in class...until the last day, when crazy children thought standing and rocking was a good idea. We also took a little boy, Thorin, to one of our classes. He rode in my canoe on the way back, and some campers tried to pass me in canoes, which is against the rules. I yelled, "YOU SHALL NOT PASS!" Thorin looked at me and said, "You just Gandalfed them!" Which was probably the cutest, most intelligent thing I've ever heard a five-year-old say. PlankTam and AquaMatt, BIFFs for life. Dad doesn't take many pictures, but he'd be on this list too if he did. In my opinion, you'd be hard pressed to find a camp better than Audubon Camp. It's a beautiful place with beautiful people, all working toward the goal of educating kids about the earth on which they live and how to take care of it. 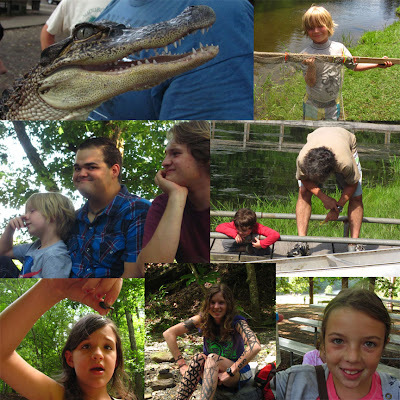 Classes include Ornithology, Herpetology, Mammalogy, Aquatic Biology, Entomology, Geology, and Botany. We encompass everything you can think of in terms of earth science. The games we play teach about relationships between animals and their habitat and our impact on the world.